Hello all, my name is Dave Zeldin. You may or may not know me from the California Chapter. 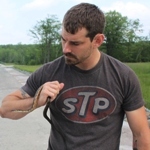 Anyway, my buddy Cooper Bailey and I are doing a fundraiser to raise some money for The North American Herpetological Education and Research Project (HERP). 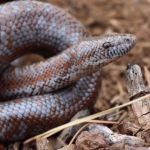 For those of you that may not be familiar with the H.E.R.P Database, it is a repository of sightings and information on North American herpetofauna contributed by amateur citizen scientists and professional herpetologists. These sightings are collected and moderated with the goal of disseminating observational herpetological data to appropriate scientific, academic, governmental, regulatory, research agencies and other approved projects. It is a great tool for helping to map distribution of North American reptiles and amphibians. So what we have here are some "Do You Even Herp Bro" silicon bracelets up for sale. Green & Black are the two options we have available. They are $4.00 each with shipping included (within the U.S). Shipping would take 7-10 business days depending on location. We can ship out of the country but shipping would be extra. Email orders directly to Cooper at [email protected]. Include your address along with the color you want in the email. Payments can be made directly to Cooper via PayPal at [email protected]. (Please choose Family or Friends when asked what the payment is for on PayPal. This way we don't get charged a fee which allows us to donate more money). 50% of the proceeds will be donated directly to H.E.R.P. Thanks to everyone that has already purchased your bracelets! Follow us on Instagram to stay up to date on this fundraiser. Thank You Dave for doing this for us. Please post this in the California Chapter Forum.